brichibihttps://brichibirants.wordpress.comI'm a mixed bag of things, and sometimes that involves stuff. Mixed in this bag are opinions. This is where I'm going to share my opinions on other things, along with some stuff. Beware of my thoughts, because they form words. 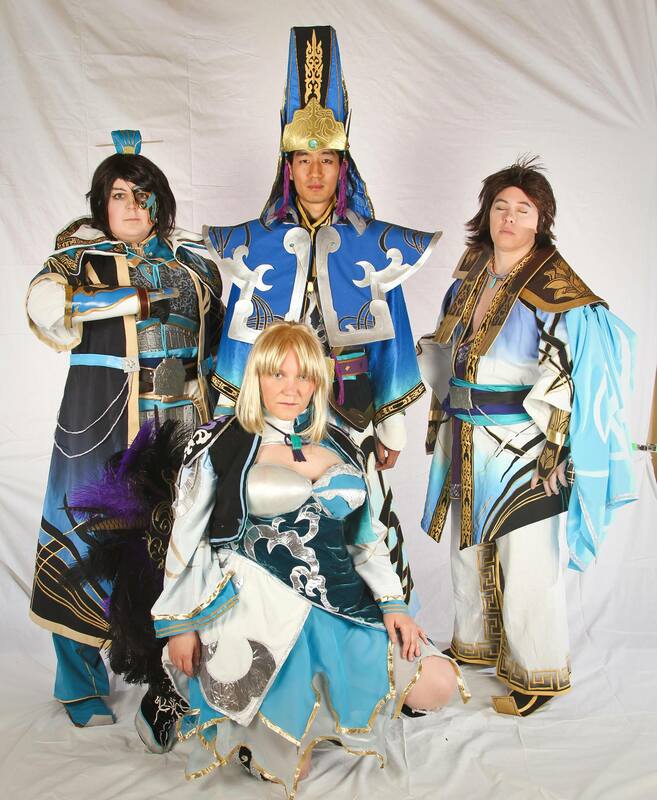 So there I was, surfing the internet, when I found a page that was using a rather old cosplay picture of my friends and I as their header. And when I say old, I mean old. 2004 old, in fact. Wow, have I really been cosplaying for that long? 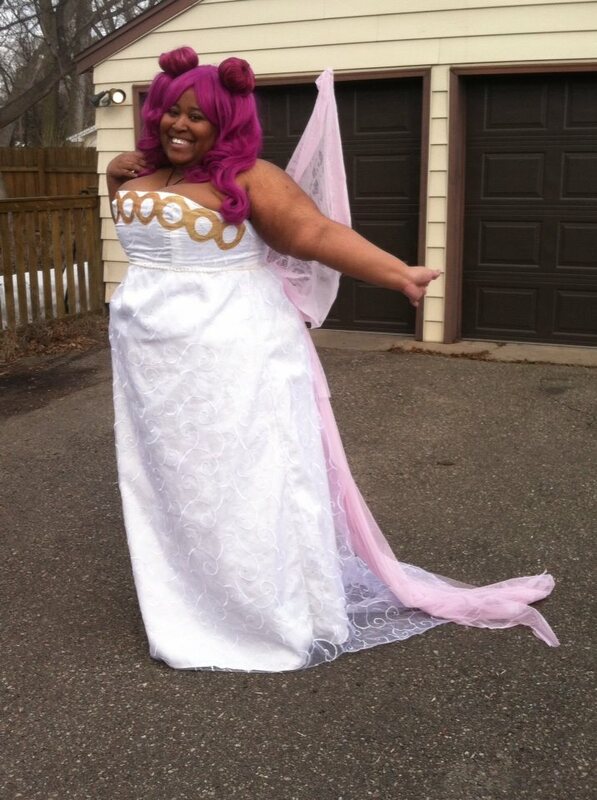 I think, if you cosplay, you should definitely take a moment to look back at your first cosplay. It’s a great reminder to see how far you’ve come. Cosplay is always about having fun emulating the character of your choice, but it’s also a great way to see how you’ve changed and improved over time. I think people don’t realize that, when it comes to cosplay, everyone starts somewhere. Cosplay is a learning process and, over time, you learn different tricks and your skills improve. You become better at your craft as you do it more often. This is us doing Yu Yu Hakusho cosplay and my friend in the middle made the cosplay for me. This was the start of my cosplay journey. This picture has special meaning to me when I stop and think about it. 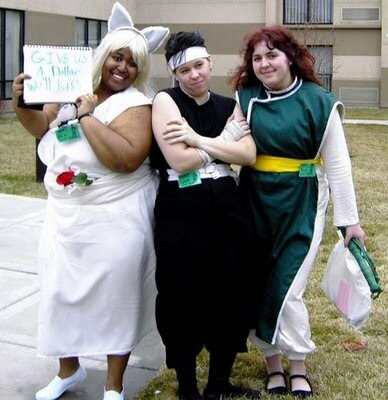 I first discovered cosplay at Anime Central back in 2002. I was really interested in doing it but quickly discovered how there are so few characters who look like me. 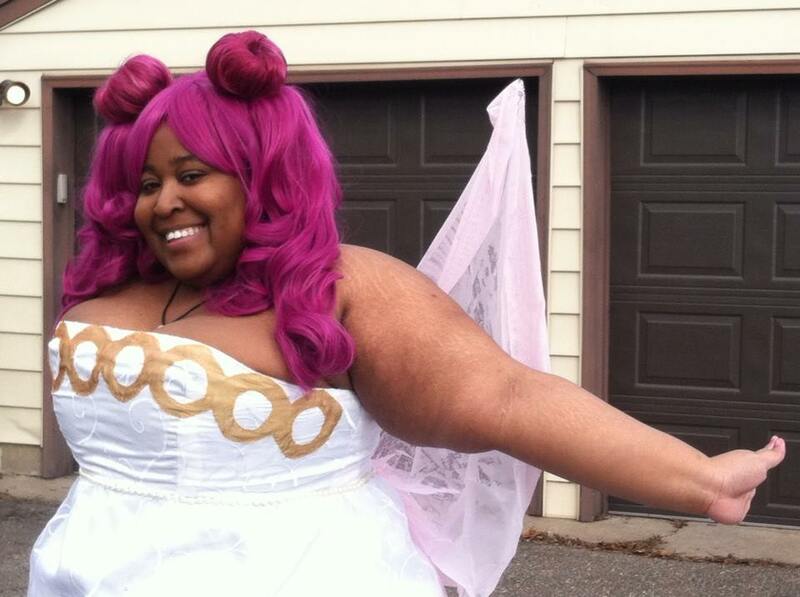 Today, of course, I know that you can (and should) cosplay who you want, but back then I thought I needed to find that plus sized, black, female character. Later, I discovered Yu Yu Hakusho and I fell in love with the series and with Kurama. The Hiei cosplay in the picture said she would make me the costume to match her. I remember putting the costume on in the bathroom and being nervous to walk out as this character who wasn’t black, who was skinny, and who was male (I even tried binding my chest which became a lost cause, back then I didn’t really know any good methods of doing so). Thanks to my friend’s encouragement (and my partner’s encouragement, who was cosplaying Gaara from Naruto), I walked out that door and never looked back. Be the best, big breasted, black Yoko Kurama that you can be. There aren’t a lot of characters who I look like, but that’s not what matters. What matters is that I love the characters I cosplay, and it’s up to me to do the best I can in being that character. Instead of focusing on what I’m not, I needed to focus on what I was and embrace it. Cosplay isn’t about meeting requirements, but sharing your love for a certain character, doing your best, and having fun. That’s why looking back at your first cosplay is so important. It’s your first step into this world. When I first looked at this picture I thought, “Oh. My. God.” But when I stopped to think about it I realized, wow, I’ve come a long way haven’t I? And so have my friends, we all have. This picture is proof of progress and growth. I’ve gone from one costume a year and one or two cons a year to several costumes and conventions all over the place. I really was the best, big breasted, black Yoko Kurama, and that keeps improving over time. The human Kurama cosplayer is on the left while the Hiei cosplayer is on the right. Look how much has changed! So please, always remember, that every cosplayer starts somewhere. Extra Note: I’m not sure who did the art in my feature image, but it’s a picture I’ve seen all over the place online. If anyone knows who the artist is, please let me know! So the news came in today that Fred Phelps is dead. I was wondering how I would feel about this. Would I cheer from the rooftops? Would I hug my partner? Or would I be one of those people who suggest picketing his funeral (which, as wrong as his beliefs were, that’s not something I want to suggest doing. I don’t want to do the same thing he did to so many but, at the same time, I can understand why there are people who want to — certainly the families of people he’s picketed are ready to march to his grave with signs of “Good Riddance,” and I don’t blame them for feeling that way. No one does. Your feelings are your own). Surprisingly, I feel pretty calm about it, and I think it’s because I imagine that, in the afterlife, this hateful man is going to have the sheer pleasure of realizing how wrong he was. I do believe in a higher power, and I can just see that higher power looking at this man and telling him that his hateful beliefs have been ridiculous and wrong over all of these years. He’s been spending so much time hating people over such trivial things, and now his life is over and he’s wasted so much time being bitter and ugly. Now he’s going to spend eternity watching from wherever he is as the world grows more accepting and pretty much crapping all over his “teachings.” It’s a slow process, but it’s making progress. More places are becoming more accepting and now this terrible man has a front row seat to equality and can’t do anything about it. Well done, Fred Phelps, all you’ve done with your hate is make us stronger. Now I’m not saying that there won’t be imitators. What I am saying is that we’ve become much stronger over time after dealing with this man and the Westboro Baptist Church. Now we have our own organizations and leaders who fight for us. During his time alive, spreading this hate, we’ve become stronger and we’re still here. We made it through his awfulness and are going to continue to spread our message of love and acceptance. So, to you, Fred Phelps, I say goodbye. Enjoy watching us from wherever your soul ends up because things are just going to get better from here.